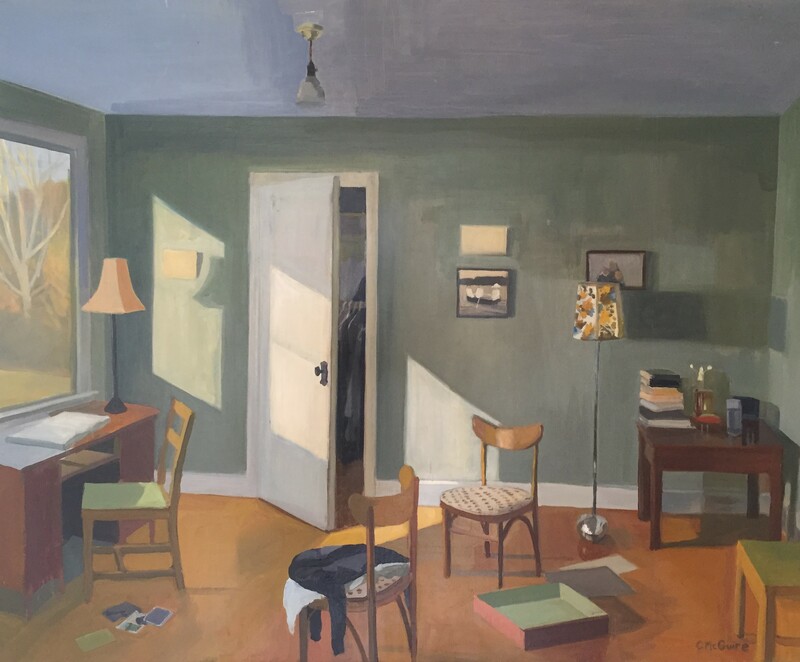 The Sharon Historical Society & Museum is pleased to announce the opening of the next exhibit in Gallery SHS, works by the Kent artist TOMAS SAVRDA, to be held at the Sharon Historical Society & Museum Art Gallery from March 16 until May 10. The public is invited to attend the artists’ opening reception on Saturday, March 16, from 5-7PM. Tomas is known for creations that are somehow charming and whimsical, but also distinctly edgy and thought-provoking. Constructed from wood, tin, stone, and found objects, his masks, mini stage scenes, and free-standing kinetic sculptures look like they have tumbled from some nineteenth century cabinet of forgotten toys. Some are meditations on memory, innocence and isolation; others are traditional folk stories filtered through dreams. They are also beautiful. A portion of all purchase proceeds will support the Sharon Historical Society & Museum’s mission. …I guess my love of primitive toys, admiration of simplicity, simple mechanical devices and old things in general, translates into my work. As for the kinetic objects, there is something unreal and magic about a balancing object – it almost defies the law of nature, the movement is so hypnotic – it’s about to fall, and it’s not falling – a miracle. All my kinetic pieces are interactive objects – you have to touch them to put them in motion – and it is difficult to walk by the object and not to touch it – it can be quite addictive – there is simply something about the movement that’s appealing. Some of my objects are very simple, toy-like whimsical figures on stands; some are more complicated mini theaters (wall stages), where there can be one, two, or more figures (in some cases up to six), interacting in some sort of play or enacting a story – some funny, some of more sinister nature. Working with new materials does not appeal to me. I want the object to look like it was around and played with for a long time – the patina and the surface imperfections are to me of utmost importance. I recycle the metal and wood that has been naturally weathered and shows its age. Metal is cut with snips, details are repoussed, edges are filed (five times), and the item is cleaned (wire brushed) from rust. Then the piece is riveted together, and balanced. After the patina is applied the object is slightly brushed again, and a protective coat is applied. I don’t use power tools to cut metal – no plasma cutters or lasers, power shears or press. It’s all made the traditional way – by hand. Time consuming, yes. It slows down the process. But I like to handle the material with my hands. And I guess the transformation will never cease to fascinate me – how a piece of junk metal or discarded wood suddenly becomes something else – another, and I like to think a more attractive object. And while I am not pretending that the selection of my work material started out of a concern for the environment, it still pleases me that the work is eco-friendly. Only the nails, little paint, glue and surface protection cover is store bought – rest is from scrap yards, flea markets, or found on the side of the road. I started making metal decorative objects about 23 years ago, and to make “moving objects” about 15 years ago – beginning with one little object, then progressing into larger moving sculptural pieces and some outdoor kinetic sculptures, and eventually incorporating wood for indoor wall stages. Some of my more recent work includes assemblages – “Reflection on life & human condition”, “Games people play”, “All that Remains”, etc. interaction (connection or disconnection)­ between humans – mostly wall boxes incorporating found objects. I am also working on video projects. The Sharon Historical Society & Museum is pleased to announce the opening of the next exhibit in Gallery SHS, the 9th Annual Northlight Art Center Student Show which runs from January 19, 2019 until March 8, 2019. The public is invited to attend the artists’ opening reception on Saturday, January 19, 2019, from 5-7PM. Come enjoy a broad variety of artworks created over the past year by students of all ages, including drawings, pastels, watercolors, acrylic and oil paintings, representing a wide range of subject matter. Most of the artworks will be available for purchase. A portion of all purchase proceeds will support the Sharon Historical Society & Museum’s mission. Northlight Art Center was founded in 2010 by artist Pieter Lefferts. NAC, originally located in Sharon and now operating in Amenia, offers art classes for all ages taught by working professional artists in drawing, painting, photography and more. 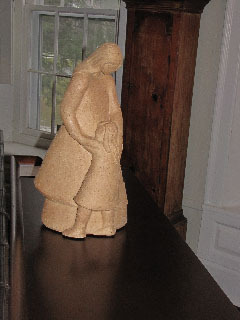 Gallery SHS is located in the Sharon Historical Society & Museum at 18 Main Street in Sharon, CT. Museum hours are Wednesday, Thursday and Friday from noon to 4:00 PM, Saturday from 10:00 AM to 2:00 PM and by appointment. For more information and directions to Gallery SHS, call (860) 364-5688. For additional information about the Sharon Historical Society & Museum, visit www.sharonhist.org. September 7-October 25- Audubon Interpreted. 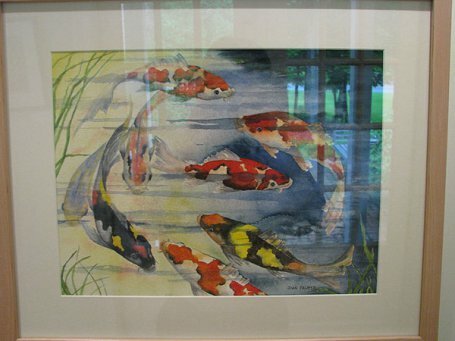 (October 27 – December 14) “Anything Goes!” Juried Exhibition & Sale. The Sharon Historical Society & Museum is pleased to announce an open call seeking entries for its upcoming show in Gallery SHS, “Anything Goes!”, a juried exhibition and sale. 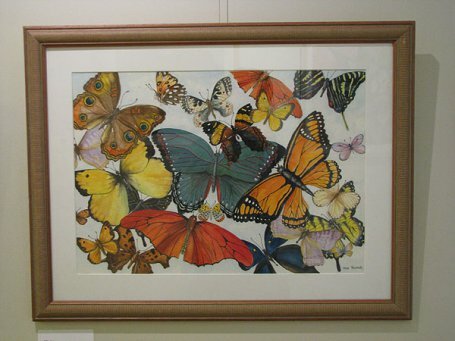 Gallery SHS invites artists to submit for consideration original works in any medium (e.g. Oil, Acrylic, Watercolor, Photography, Pastel, Ink, Graphite, Drawing, Print, Mixed Media, Sculpture, Assemblage, Fabric, Stone, Clay, Metal). The show has no requirements limiting subject matter or size of artwork, Anything Goes! The Gallery Committee says “bring us your best work! Artists, for information on exhibiting in this and upcoming shows, please click here. For questions, please email gallery@sharonhist.org. The Sharon Historical Society & Museum announces a solo exhibition of recent ceramics, papier-mâché and photographs by local artist Alison Palmer titled “Creatures Greatand Small”. The show will run through October 19. A portion of all purchases support the Sharon Historical Society & Museum’s mission. The opening was held in conjunction with the second Sharon Art Walk, during which the art exhibitions at Hotchkiss Library of Sharon, Sharon Town Hall, Standard Space and KK Kozik were also open to the public, along with the studios of several local artists. Alison Palmer was born and raised in New York. After graduating high school she attended Kansas City Art Institute as well as the California College of Arts and Crafts where she received her BFA in ceramics. Alison then returned to New York where she implemented a “treatment through crafts” program at Four Winds Psychiatric Hospital in Katonah. While teaching at Four Winds, Alison began her own studio at a converted old schoolhouse in Croton Falls, New York. She met and married musician Steve Katz. Together they created a company called Ashes to Ashes which produced funerary urns for animals. The urns were to be designed and handmade by Alison while Steve did the sales and marketing. The pressures of dealing with grieving clients, however, were too much for the couple and so they concentrated solely on Alison’s handcrafted ideas. By 1986, Alison was exhibiting her work at a few of the finer craft galleries in New York City and elsewhere. 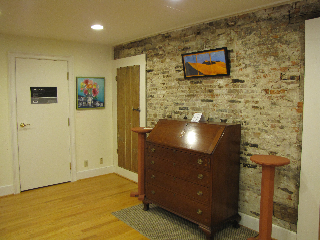 Gallery SHS is located at the Sharon Historical Society & Museum, 18 Main Street, Route 41, Sharon, CT. The gallery and museum are open Saturday from 10-2 and Wednesday through Friday from 12-4, and by appointment. For more information and directions to Gallery SHS, call (860) 364-5688. 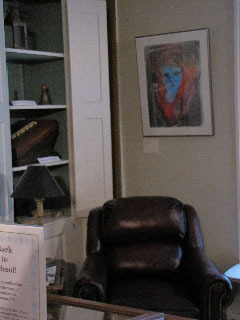 For additional information about the Sharon Historical Society & Museum, visit www.sharonhist.org. 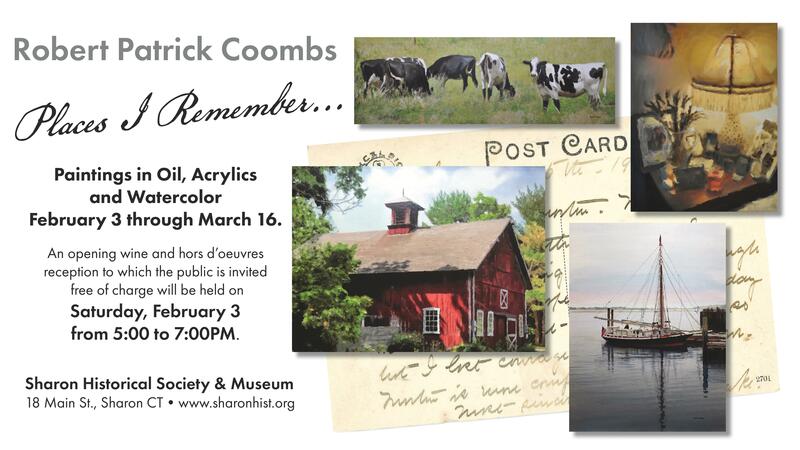 The Sharon Historical Society & Museum and Gallery SHS are pleased to welcome the public to a The Artist Talks! program on Thursday, October 18th from 5:30 PM to 6:30 PM. Artist Alison Palmer will discuss her work and processes, motivations, influences, and experiences in creating the ceramic and papier-mâché pieces on display in her current show at Gallery SHS, “Creatures Great and Small”. Palmer is a resident of Kent and has been exhibiting her work at fine craft galleries in New York City and elsewhere since 1986. This will be an informal interactive program during which those attending will have the opportunity to ask questions. The event is free and light refreshments will be served. The show continues in Gallery SHS through October 19th during regular SHS hours. All purchases support the Sharon Historical Society & Museum’s mission. 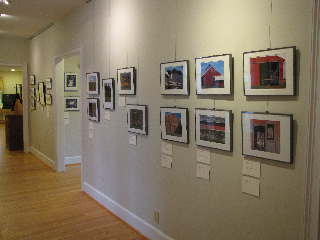 Gallery SHS is in the Sharon Historical Society & Museum located at 18 Main Street, Route 41, Sharon, CT. The Gallery and Museum are open Wednesday through Friday from noon to 4:00 PM, and Saturday 10:00 AM to 2:00 PM. Visit the SHS website at www.sharonhist.org. For more information call 860-364-5688 and consult the SHS Facebook page for additional details about this event. Gallery SHS of the Sharon Historical Society & Museum presents “Farm to Table,” a juried exhibition and sale of artworks by local artists. The exhibit runs from July 14 through August 24, 2018. An opening wine and hors d’oeuvres reception to which the public is invited free of charge will be held on Saturday, July 14 from 5:00 to 7:00PM. Artists were invited to submit works in any medium (e.g. Oil, Acrylic, Watercolor, Photography, Pastel, Ink, Graphite, Drawing, Print, Mixed Media, Sculpture, Assemblage, Fabric, Stone, Clay, Metal) that respond to, and reflect the artist’s interpretation of, the theme Farm to Table. Cash prizes will be awarded to three works selected by the judges, Heide Hendricks and Rafe Churchill. In addition, guests who attend the show’s opening night will have the opportunity to select their favorite work of art which will receive the “SHS Crowd Pleaser” award. All purchases support the Sharon Historical Society & Museum’s mission. As usual, the Gallery SHS exhibit will be complemented by a display of historical materials. The “farm” display will feature objects from the SHS collection, including diaries kept by a local farmer. “Table” will be represented by a selection of vintage cooking pamphlets from the collection of Sharon resident Jessie Sheehan, author of the recently published book The Vintage Baker. Sheehan’s book looks to the historical pamphlets for inspiration and re-creates the recipes for modern kitchens and tastes. Sheehan became interested in vintage cookbooks a decade ago when she found some baking booklets from the early twentieth century at a Brooklyn junk shop. Their colorful design and retro vibe intrigued her, the recipes are a mirror of America’s history. The rise of baking powder during World-War I demonstrates the ingenuity of frugal homemakers seeking a less expensive alternative to whole eggs as a leavener for cakes. Years later, cookbooks from the 1950’s reflect a more prosperous time and signal a new dawning of culinary experimentation and extravagance. 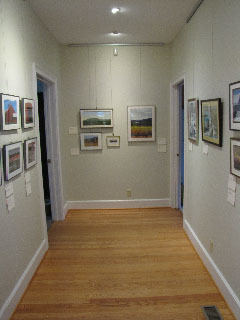 Gallery SHS is located at the Sharon Historical Society & Museum, 18 Main Street, Route 41, Sharon, CT. The gallery and museum are open Wednesday through Friday from 12-4, Saturday 10-2 and by appointment. For more information and directions to Gallery SHS, call (860) 364-5688. For additional information about the Sharon Historical Society & Museum, visit www.sharonhist.org. The Sharon Historical Society & Museum and Gallery SHS are pleased to welcome the public to a special The Artist Talks! program on Saturday, August 18th from 4:00 PM to 5:00 PM. This program will feature baker and Sharon resident Jessie Sheehan. Sheehan is a cookbook writer, recipe developer and food blogger, blogging about all things sweet at www.jessiesheehanbakes.com and is on Instagram at @jessiesheehanbakes. Her first book, Icebox Cakes, was published in 2015. Her second book, The Vintage Baker, was published this spring. The Vintage Baker includes old-fashioned recipes for sweets and treats, inspired by Sheehan’s collection of vintage recipe pamphlets, which Sheehan has twisted and tweaked for the 21st century baker. Selections from Sheehan’s pamphlet collection are currently on display at the Sharon Historical Society & Museum as a complement to Gallery SHS’s juried art exhibit Farm to Table. At this The Baker Talks! program Sheehan will discuss her pamphlet collection and her process in developing The Vintage Baker. This will be an informal interactive program during which those attending will have the opportunity to ask questions. The event is free and sweet refreshments based on recipes from The Vintage Baker and beyond will be served. The book will be available for purchase and Ms. Sheehan will sign copies for buyers. Jessie Sheehan began working at Baked in Brooklyn as an assistant pastry chef after abandoning a short-lived legal career. While there, she did in-house recipe testing for the first two Baked cookbooks. After leaving Baked, she began working as a freelance recipe developer, editor, and tester, and as the head recipe developer for the next three Baked cookbooks. Sheehan’s interest in vintage cookbooks was sparked a decade ago when she became intrigued by the colorful design and retro vibe of some baking pamphlets from the early twentieth century that she found at a Brooklyn junk shop. The recipes in a way mirror America’s history. For instance, the rise of baking powder during World-War I demonstrates the ingenuity of frugal homemakers seeking a less expensive alternative to whole eggs as a leavener for cakes. Years later, cookbooks from the 1950’s reflect a more prosperous time and signal a new dawning of culinary experimentation and extravagance. The Farm to Table show and vintage pamphlet display continue in Gallery SHS through August 24th during regular SHS hours. All art purchases support the Sharon Historical Society & Museum’s mission. Ellen Moon, a resident of Cornwall, is a versatile and accomplished artist. She received a BA in art from Connecticut College and an MA in drawing and MFA in Multimedia from The University of Iowa. As she describes when asked, “I am an artist because it is in my nature to be so. A cat hunts, a bird flies—I make stuff. Just can’t help it.” Ms. Moon’s work has three strands—fiber, watercolors, and costumes. The strands are interlaced by her love of the natural world. The centerpiece of this exhibition at Gallery SHS will be Ellen Moon’s “365 Days”, a series of plein air field paintings which is a monumental achievement of watercolor jewels, painted in one field over the course of 365 days. Ralph Waldo Emerson was on the same page as Ms. Moon, albeit some time earlier, when he said “To the attentive eye, each moment of the year has its own beauty, and, in the same field, it beholds, every hour, a picture which was never seen before, and which shall never be seen again.” The exhibition of “365 Days” will be complemented by additional work in various media, sizes and subjects from Ms. Moon’s expansive body of work. 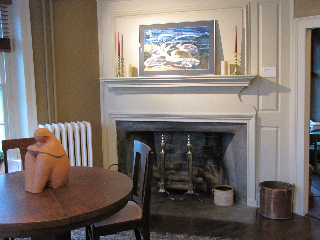 Moon’s work has been featured in numerous solo and group exhibitions over more than three decades throughout the area and beyond, including several group shows at the Sharon Historical Society & Museum. The Sharon Historical Society & Museum and Gallery SHS are pleased to welcome the public to a The Artist Talks! program on Sunday, June 10th from 3:00 PM to 4:00 PM. Artist Ellen Moon will discuss her work and processes, motivations, influences, and experiences in creating the paintings on display in her current show at Gallery SHS, “Ellen Moon: A Sense of Place”. 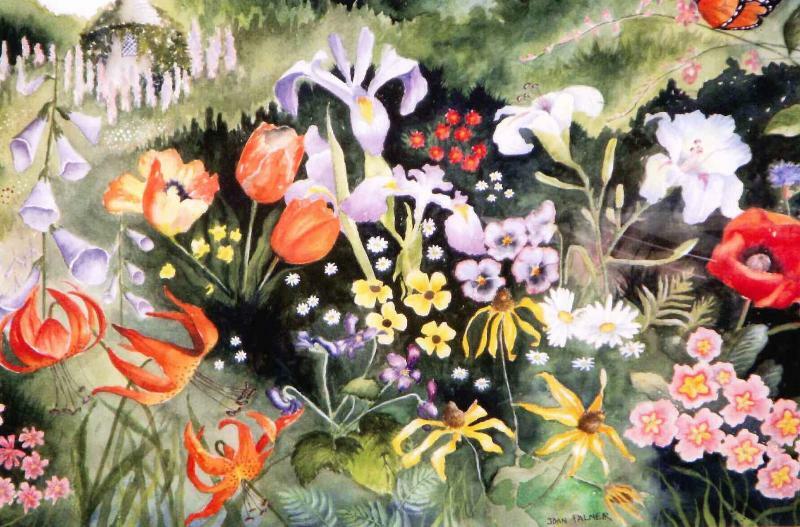 The centerpiece of this exhibition is Moon’s “365 Days”, a series of plein air field paintings which is a monumental achievement of watercolor jewels, painted in one field over the course of 365 days. This will be an informal interactive program during which those attending will have the opportunity to ask questions. The event is free and light refreshments will be served. The show continues in Gallery SHS through June 22nd during regular SHS hours. All purchases support the Sharon Historical Society & Museum’s mission. (March 24 – May 4) “Northlight Art Center 8th Annual Student Show”. The Sharon Historical Society & Museum is pleased to announce the opening of the next exhibit in Gallery SHS, the 8th Annual Northlight Art Center Student Show to be held at the Sharon Historical Society & Museum Art Gallery from March 24th until May 4th. The public is invited to attend the artists’ opening reception on Saturday, March 24, from 5-7PM. Refreshments will be served. Come enjoy diverse artworks created over the past year by students of all ages, including drawings, pastels, watercolor, acrylic and oil paintings representing a wide range of subject matter. Many of the artworks will be available for purchase. All purchases support the Sharon Historical Society & Museum’s mission. Northlight Art Center was founded in 2010 by artist Pieter Lefferts. NAC, originally located in Sharon and now operating in Amenia, offers art classes for all ages taught by working professional artists in drawing, painting, photography and more. 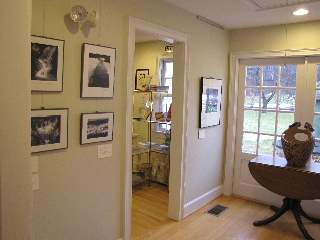 Gallery SHS is located in the Sharon Historical Society & Museum at 18 Main Street in Sharon, CT. Museum hours are Wednesday, Thursday and Friday from noon to 4:00 PM, Saturday from 10:00 AM to 2:00 PM and by appointment. For more information and directions to Gallery SHS, email director@sharonhist.org, call (860) 364-5688. 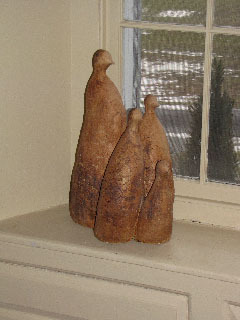 For additional information about the Sharon Historical Society & Museum, visit www.sharonhist.org. 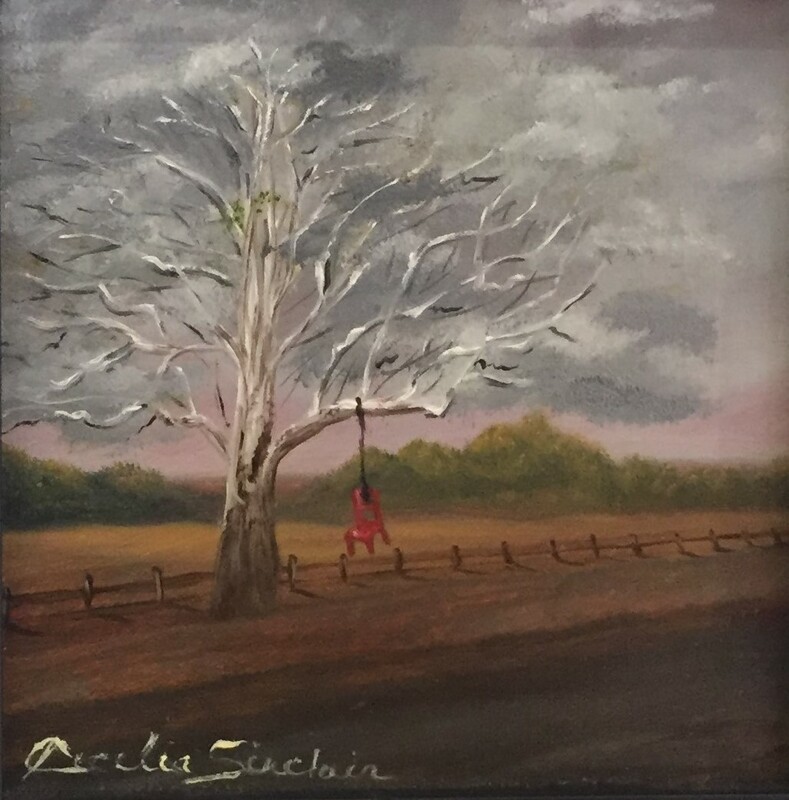 The Gallery SHS of the Sharon Historical Society & Museum presents a solo exhibition of paintings by local artist Robert Patrick Coombs titled “Places I remember… paintings by Robert Patrick Coombs”. Painting in oil, acrylics and watercolors, Mr. Coombs’s style is best described as mix of contemporary impressionism and realism. The exhibit features a variety of subjects including local landscapes, coastal and beach scenes along with still life and floral pieces and will run from February 3 through March 16. An opening wine and hors d’oeuvres reception to which the public is invited free of charge will be held on Saturday, February 3 from 5:00 to 7:00PM. A portion of all purchases support the Sharon Historical Society & Museum’s mission. Robert Patrick Coombs is a part-time Sharon resident and an award winning artist with a background in graphic design and art direction. After beginning his fine art career Robert was featured in an article in the August/September 2013 issue of Professional Artist Magazine, and his painting “Cherry Blossoms” appeared on the magazine’s cover. In 2015 Mr. Coombs was elected a member of the prestigious Salmagundi Club in New York City. Coombs has exhibited his work at a solo show in MetroTech Center in Brooklyn NY, at Lexington Co. in East Hampton and in Montauk, NY. His work has also been featured in a number of group shows at the Sharon Historical Society & Museum and at Irondale Schoolhouse in Millerton. 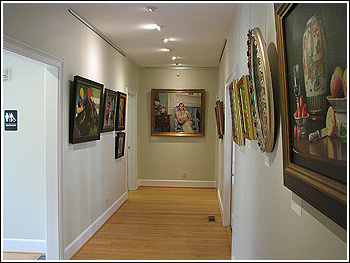 Gallery SHS is located at the Sharon Historical Society & Museum, 18 Main Street, Route 41, Sharon, CT. The gallery and museum are open Saturday from 10-2 and Wednesday through Friday from 12-4, and by appointment. For more information and directions to Gallery SHS, call (860) 364-5688. 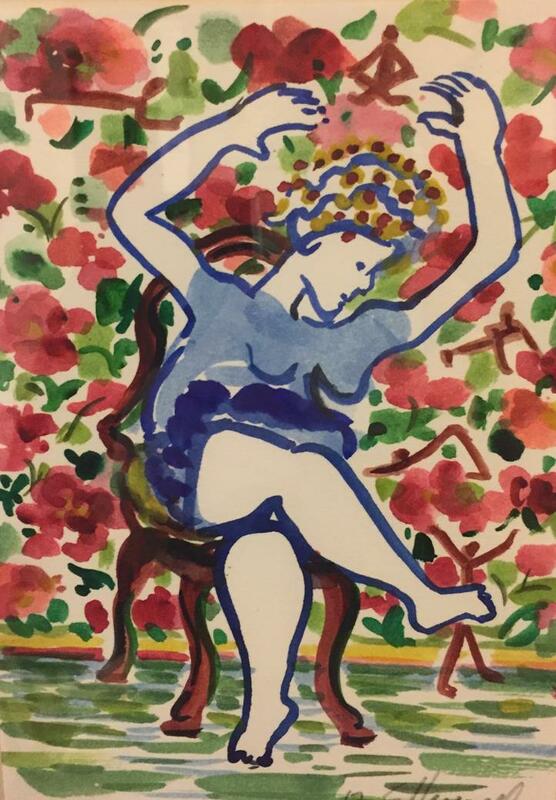 The Gallery @the SHS of the Sharon Historical Society & Museum presents “Have a Seat,” a juried exhibition and sale of artworks by local artists on the themes of chairs, sitting or seating. The show will be presented in conjunction with an exhibition of the museum’s collection of antique chairs. Both exhibits run from November 4 through December 15. All purchases support the Sharon Historical Society & Museum’s mission. 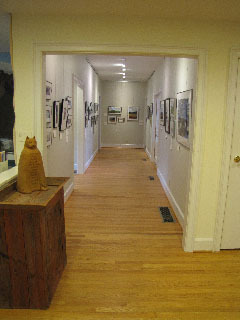 The Gallery @the SHS is located at the Sharon Historical Society & Museum, 18 Main Street, Route 41, Sharon, CT. The gallery and museum are open Wednesday through Friday from 12-4, Saturday 10-2 and by appointment. For more information and directions to The Gallery @the SHS, call (860) 364-5688. 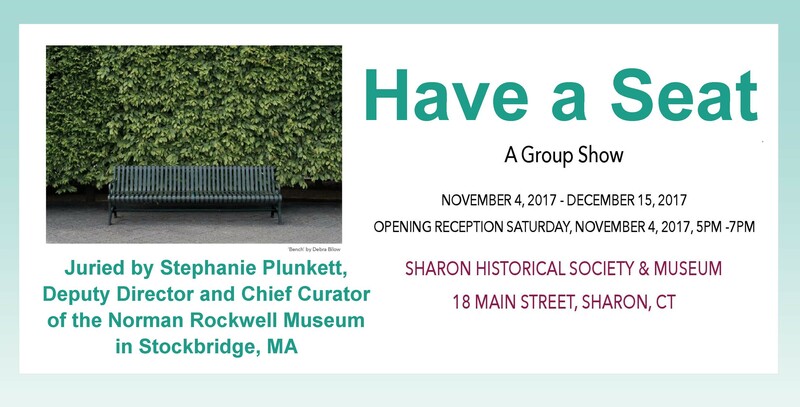 The Sharon Historical Society & Museum is pleased to announce that renowned museum deputy director and curator Stephanie Plunkett will judge the upcoming show in The Gallery @the SHS, “Have A Seat Home”, a juried exhibition and sale of artworks which reflect the themes of chairs, seating and sitting. Stephanie Plunkett is the Deputy Director and Chief Curator of the Norman Rockwell Museum in Stockbridge, Massachusetts, a position she has held since 1994. Born and raised in Brooklyn, New York, she is the recipient of a Bachelor of Fine Arts degree from Pratt Institute and a Master of Fine Arts degree from the School of Visual Arts. She is also the author of two American Library Association Notable children’s books and the curator of many exhibitions exploring the art of Norman Rockwell and the field of illustration. 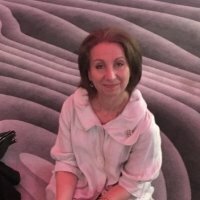 Ms. Plunkett began her professional career in the field of museum education at Brooklyn Museum and has also held positions at the Brooklyn Children’s Museum and the Heckscher Museum of Art in Huntington, New York. The Judge will select the art to be exhibited and award cash prizes of $100, $75, and $50 to three pieces. In addition, guests who attend the show’s opening night will have the opportunity to select their favorite work of art which will receive the “SHS Crowd Pleaser” award. Artists, for information on exhibiting in this and upcoming shows, please click here. For questions, please email gallery@sharonhist.org. The Gallery @the SHS of the Sharon Historical Society & Museum presents the opening of its show of art works in The Gallery @the SHS, “The Land We Love”, an invitational exhibition and sale of landscape art in a variety of media running from September 16 through October 27, 2017. Artists have been drawn to depict the world around them for millennia but it is only in the last two hundred years or so that nature, the physical landscape, painted in the open air, has been thought worthy by itself as the subject of a work of art. Delacroix said that art was nature filtered through a temperament. Artists were invited to submit their vision of the natural world in which we live. This show features the work of area artists Basia Goldsmith, Norma Kimmel, Ellen Moon, Patty Mullins, Ray Olsen and Babs Perkins. Artifacts from the SHS collection (including photographs from the CR Robinson Archive of landscapes around Sharon Gardens of Stone House) will be on display to complement the artwork. An opening wine and hors d’oeuvres reception to which the public is invited free of charge will be held on Saturday, September16 from 4:00 to 7:00PM. The opening will be held in conjunction with the Sharon Art Walk, during which the art exhibitions at Darren Winston Bookseller, Hotchkiss Library of Sharon and Sharon Town Hall will also be open to the public, along with the studios of several local artists. 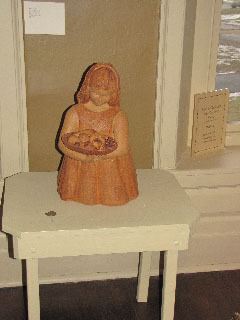 All purchases at The Gallery @the SHS support the Sharon Historical Society & Museum’s mission. 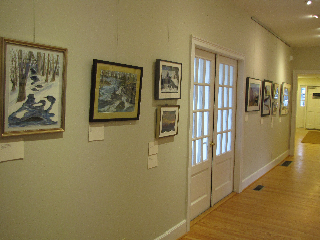 The Gallery @the SHS is located at the Sharon Historical Society & Museum, 18 Main Street, Route 41, Sharon, CT. The gallery and museum are open Wednesday through Friday from 12-4, Saturday from 10-2 and by appointment. For more information and directions to The Gallery @the SHS, call (860) 364-5688. For additional information about the Sharon Historical Society & Museum, visit www.sharonhist.org. 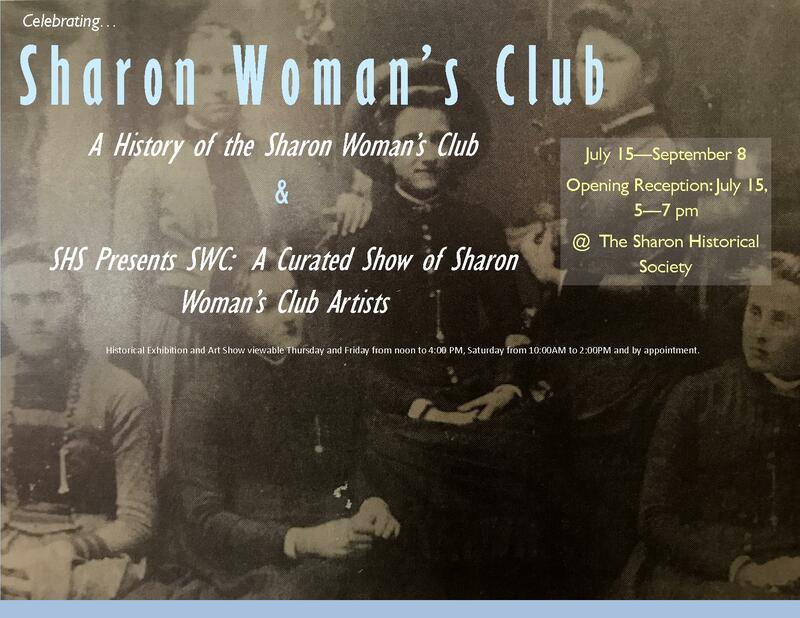 The Sharon Historical Society & Museum is pleased to announce the opening of the next show in The Gallery @the SHS, “SHS Presents SWC”, an exhibition and sale of art by members of the Sharon Woman’s Club to be held at the Sharon Historical Society & Museum Art Gallery from July 15th until September 8th. Materials from the SWC archives which are in the SHS collection (including records of SWC’s work on local gardens, the Sharon beach and posters from the SWC Centennial exhibit) will be on display to complement the artwork. The Sharon Woman’s Club was organized in 1910 with the purpose to stimulate and encourage all efforts toward intellectual and social betterment in the home and in the community. The organization’s motto is “In Good Things, Unity; In Small Things, Liberty; In All Things, Charity.” The Club has consistently responded to the needs in our community throughout its history, compiling an impressive and enviable catalog of civic, educational and cultural contributions and accomplishments. Come enjoy diverse artworks in a variety of media and representing a wide range of subject matter created over the past two years by the talented members of this local service organization. Artworks will be available for purchase. All purchases support the Sharon Historical Society & Museum’s mission. The Gallery @the SHS of the Sharon Historical Society & Museum presents “No Place Like Home,” a juried exhibition and sale of artworks by local artists. Artists were invited to submit works in any medium (e.g. Oil, Acrylic, Watercolor, Photography, Pastel, Ink, Graphite, Drawing, Print, Mixed Media, Sculpture, Assemblage, Fabric, Stone, Clay, Metal) that respond to, and reflect the artist’s interpretation of, the themes Home or Family. The show is juried by style icon and lifestyle aficionado Carolyne Roehm. Cash prizes will be awarded to three works selected by Ms. Roehm. In addition, guests who attend the show’s opening night will have the opportunity to select their favorite work of art which will receive the “SHS Crowd Pleaser” award. The exhibition will feature as its centerpiece the first public display of the SHS’s recent acquisition, a large oil portrait of three members of the Carley family of Sharon. 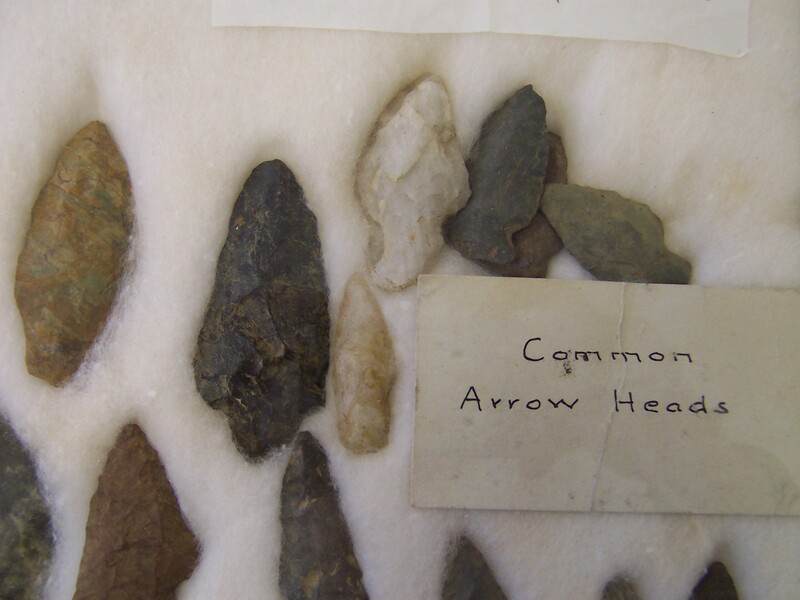 Artifacts from the SHS collection will be on display to complement the artwork. The exhibit runs from May 6 through July 7, 2017. An opening wine and hors d’oeuvres reception to which the public is invited free of charge will be held on Saturday, May 6 from 5:00 to 7:00PM. All purchases support the Sharon Historical Society & Museum’s mission. The Sharon Historical Society & Museum is pleased to announce the opening of the next exhibit in The Gallery @the SHS, the 7th Annual Northlight Art Center Student Show to be held at the Sharon Historical Society & Museum Art Gallery from March 11th until April 28th. Northlight Art Center was founded in 2010 by artist Pieter Lefferts. NAC, originally located in Sharon and now operating in Amenia, offers art classes for all ages taught by working professional artists in drawing, painting, photography and more. The public is invited to attend the artists’ opening reception on Saturday, March 11, from 5-7 PM. Refreshments will be served. Come enjoy diverse artworks created over the past year by students of all ages, including drawings, pastels, watercolor, acrylic and oil paintings representing a wide range of subject matter. Much of the artwork will be available for purchase. All purchases support the Sharon Historical Society & Museum’s mission. Artists, for information on exhibiting in upcoming shows, please click here. For questions, please email gallery@sharonhist.org. 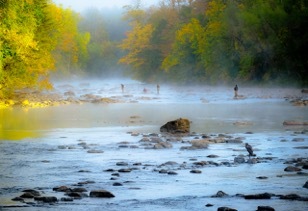 The Gallery @the SHS of the Sharon Historical Society & Museum presents an exhibition and sale of photographs by eight members of the Housatonic Camera Club, which runs from January 14 through March 3, 2017. An opening wine and hors d’oeuvres reception to which the public is invited free of charge will be held on Saturday, January 14 from 5:00 to 7:00PM. All purchases support the Sharon Historical Society & Museum’s mission. The Housatonic Camera Club was started in the mid-1950’s by Sharon resident Ward Hutchinson and is now composed of members from communities in Connecticut, Massachusetts, and New York who meet to share their love of photography, their experiences, travels, and expertise, and to educate one another and the public. Members work in prints, film, digital, color, and black & white mediums. Members exhibiting in this The Gallery @the SHS show are Jeffrey Breitman, William DeVoti, Lazlo Gyorsok, John Landon, George Mudge, Birgitt Pajarola, Jane Rossman and Bert Schmitz. 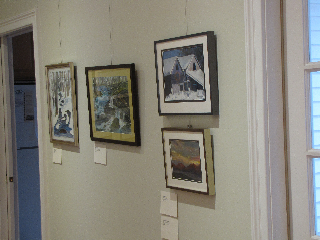 The Gallery @the SHS is located at the Sharon Historical Society & Museum, 18 Main Street, Route 41, Sharon, CT. The Gallery and Museum are open Wednesday through Friday from 12-4, Saturday from 10-2 and by appointment. For more information and directions to The Gallery @the SHS, call (860) 364-5688. 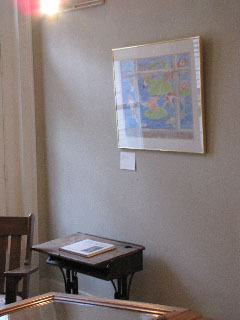 For additional information about the Sharon Historical Society & Museum and The Gallery @the SHS, visit www.sharonhist.org. An invitational exhibition and sale running from November 5 through December 16, 2016. The Gallery @the SHS of the Sharon Historical Society & Museum presents “What’s the Big Idea 2?”, a return of last year’s popular juried exhibition and sale of small scale artworks by local artists: Simon W. Biddle, Debra Billow, John Brett, M.J. Budzyn, Mary Anne Carley, BZ Coords, Jeff Joyce, Sybil M. Perry, Camille Raccanova, Richard Roney-Dougal, Diane Tomczak, Valerie von Volz, Lisa Deloria Weinblatt, and Linda Wenkert! 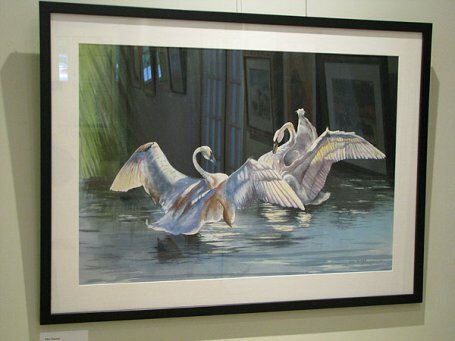 The show is once again juried and judged by Sharon residents Carl Chaiet and Lynn Kearcher. Cash prizes will be awarded to three works selected by the judges. In addition, guests who attend the show’s opening night will have the opportunity to select their favorite work of art which will receive the “SHS Crowd Pleaser” award. For information on upcoming shows, please click here. For questions, please email art@sharonhist.org. “Distaff in Sharon: A Tribute to Melva Bucksbaum”, an invitational exhibition and sale running from September 10 through October 28, 2016. The exhibition at The Gallery @the SHS takes its inspiration from the ground breaking 2013 show curated by Ms. Bucksbaum at the Granary in Sharon titled “The Distaff Side, ” a diverse exhibition of paintings, sculpture, photography, and video by more than 100 female artists from the collections of Ms. Bucksbaum and her husband, Sharon resident Raymond Learsy. The show at The Gallery @the SHS features work by local women artists Debra Bilow, Zelina Blagden, Tina Chandler, Karen LeSage, Ellen Moon, Catherine Noren, Sally Pettus and Kate Stiassni. The invitational art exhibit and sale featured the works of seven local artist couples: Ellen Moon and Dave Colbert, Joel Schapira and Diane Schapira, Karen Culbreth and Scott Culbreth, Greg Lock and Sarah Anderson Lock, Carl D’Alvia and Jackie Saccoccio, Ingrid Freidenbergs and Jack Feder, and Alistair Jones and Shaari Horowitz. Susan’s exhibit, featured over 30 original, classic works including still lifes, landscapes, portraits and equestrian paintings. 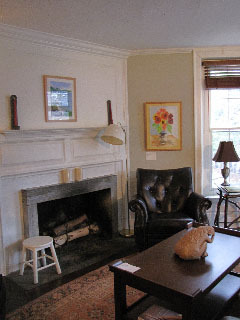 An award winning artist, Susan works out of her spacious West Redding, Connecticut studio, The Lobster Pot, so named by Mark Twain who owned the property at the turn of the century. Susan graduated from Greens Farms Academy, attended one year at the School of Fine Arts at Boston University, received a Bachelor of Arts from the University of Vermont. Her work is displayed in private collections throughout the Country. 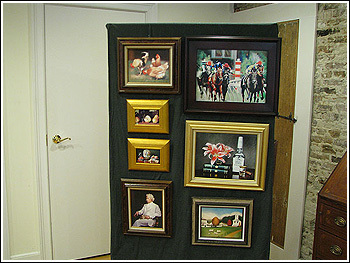 Susan has been featured on four Cable Television Shows, appeared in Fairfield Country Times, The Artist Magazine, MSNBC Connecticut News, The News Times, Signature magazine, Ridgefield Magazine, as well as the featured portrait artist in the Spring 2004 National Geographic article on Greenwich, Connecticut. Susan specializes in traditional classic style portraiture. Since 1978, she has been commissioned to paint individual, civic, and corporate portraits. Among her corporate clients are U.S. Tobacco, the Cancer Research Institute, Wellesley College, the Mark Twain House, Hartford, Connecticut and Baylor University Medical Center. 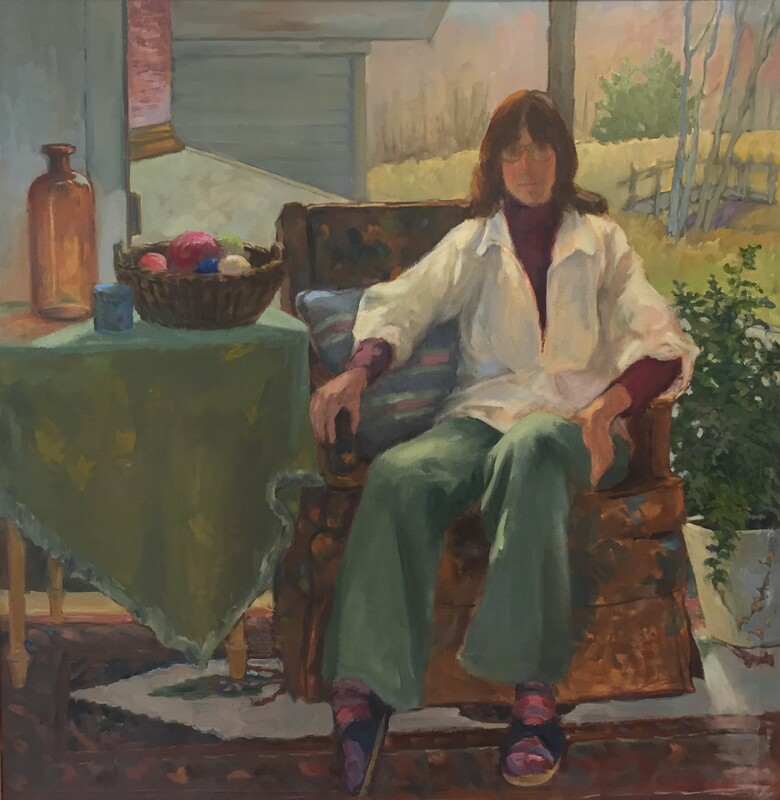 Memberships include: American Society Portrait Artists, Connecticut Society Portrait Artists, Salmagundi Club, New York, Artists Fellowship, New York, and Stroke of Genius, Oil Painters of America, Colonial Dames of America, State of Connecticut. Featuring the original art from the forthcoming book, My Scottish Adventure and favorites from Being Earnest, It Could Have Been a Rose, & Man’s First Word. 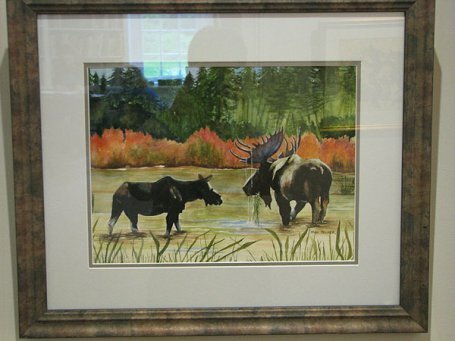 Featuring pastels, oil and watercolor sketches of the Northwest Corner, the Adirondacks and Yellowstone National Park. Pieter Lefferts trained at the Art Students League of New York. His work is in collections throughout North America and abroad. In Our Own Backyard… Five Women Express Life Where We Live. The show will run from November 8th to December 20th, with the reception on Saturday, November 8th from 5 – 7 PM. Gallery visitors will experience the beauty of our area’s rolling hills, long vistas, fields and marshes, deep skies and stretches of water in artwork created by local artists. 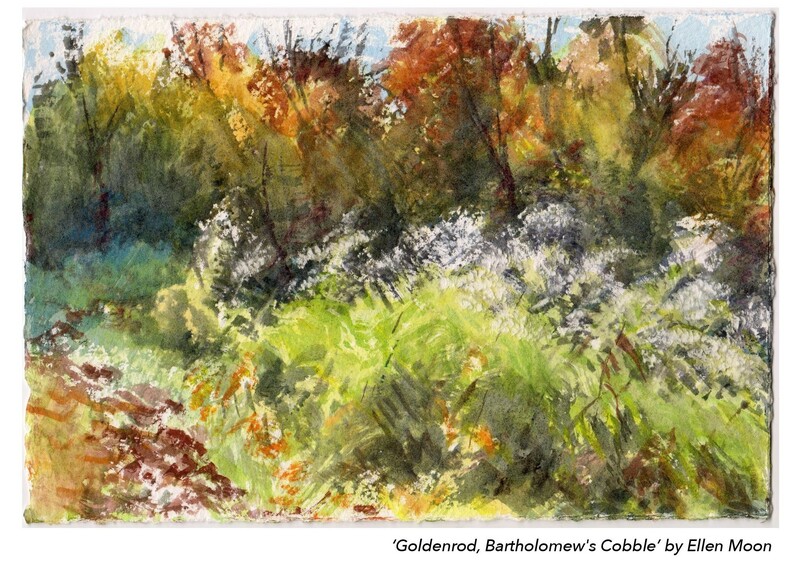 Dorothy Fox, Nancy Goldberger, Patricia Hogan, Linda Wenkert and Lilly Woodworth share their love of the Litchfield Hills and surrounding area with paintings in oil, watercolor, acrylic and pastel.